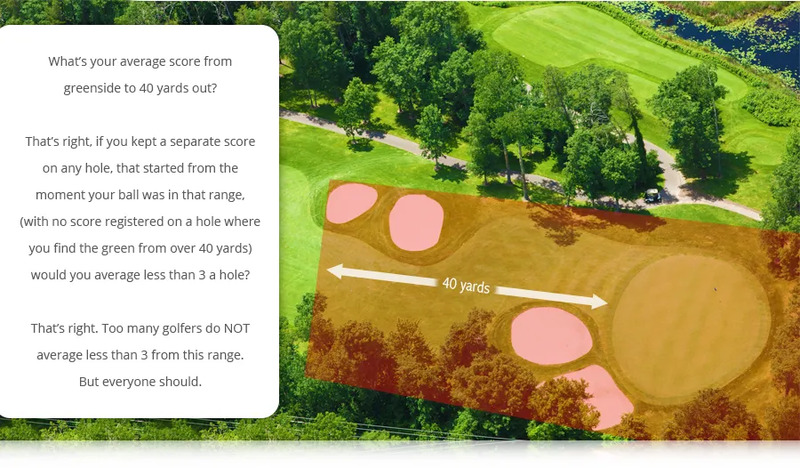 Obviously the lie and shot you have from 40 yards in or less has a large impact on your average score from this range. 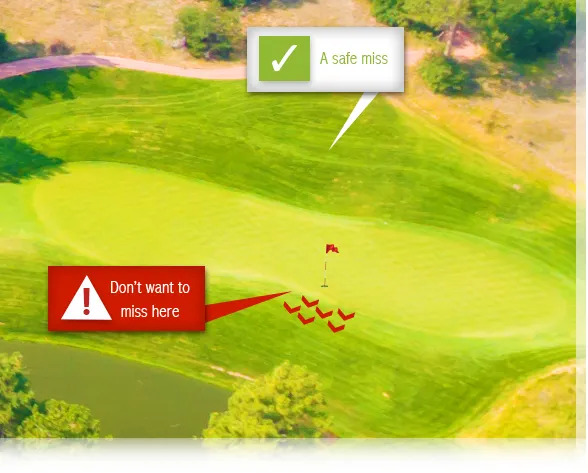 Better players influence the chance of a tough greenside shot by making sure that, when planning their approach shot, they reduce the chances of missing the green “on the wrong side”. Shouldn’t the rest of us, who’re less accurate with our approach shots be doing that? If your average shots from 40 yards in is over 3, then set out to make an improvement. Everyone of you should be under 3. Most of the time it’s a chip, short-pitch or greenside bunker shot onto the green and 2 putts. Sometimes it’s 1 putt. Those are the three shots you need to master by the way: chip, short-pitch, greenside bunker. Gain the fundamentals, then become a master.